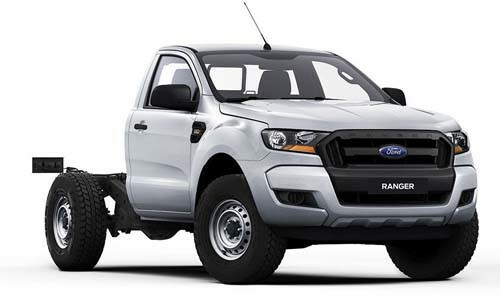 NOW WITH UNLIMITED KMS 5 YEAR FACTORY WARRANTY from date of first rego AUTO WITH TRAY FORD RANGER XL SINGLE CAB CHASSIS 2.2L AUTOMATIC 4X2 HIGHRIDER (Cool White) - RACQ Membership and roadside assistance INCLUDED. - FORD SERVICE PRICE PROMISE for 7 years. - 5 Star ANCAP Safety Rating. I'm interested in a Used 2018 Ford Ranger PX MkII 4x2 XL Single Cab Chassis 2.2L Hi-Rider Cab chassis (stock #QCJM).